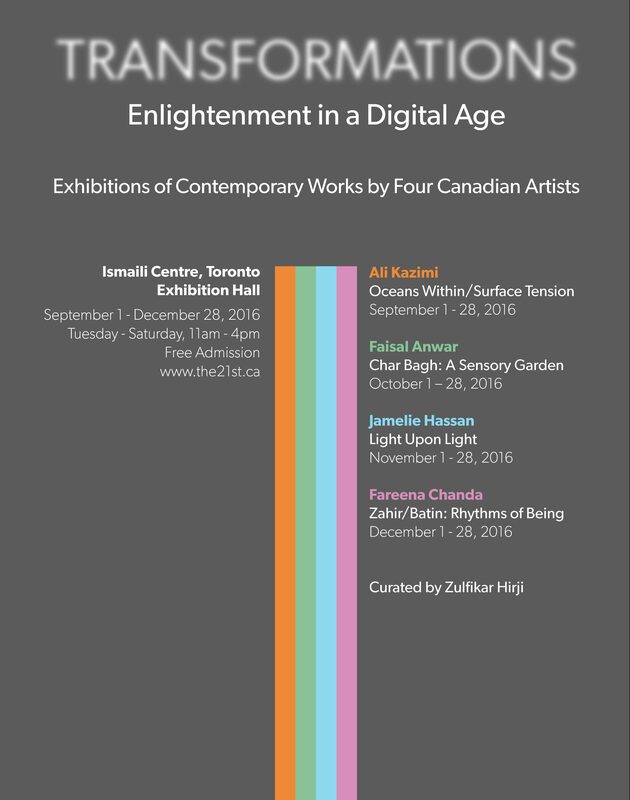 In this exhibition, artworks presented involve the use of neon or highly reflective materials in tandem with Arabic language. 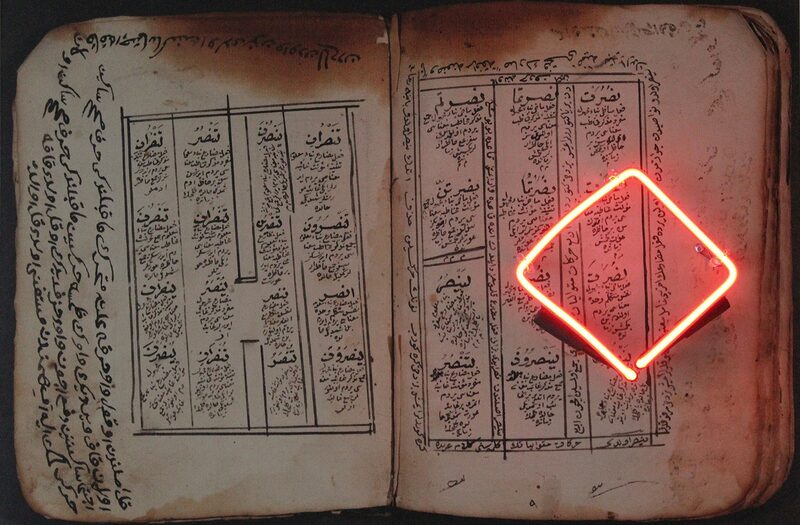 In one series, the artist photographically reproduces with the pages of an Arabic and Ottoman manuscript in which she overlays red neon with an Arabic letter or symbol. The use of red neon references the different source of light (& heat) of our times compared to the lamp or candle being the source of light at the time this manuscript was first written. The markings of the lamp are visible in the top centre of the pages which was caused by the reader holding the manuscript too close to the lamp.